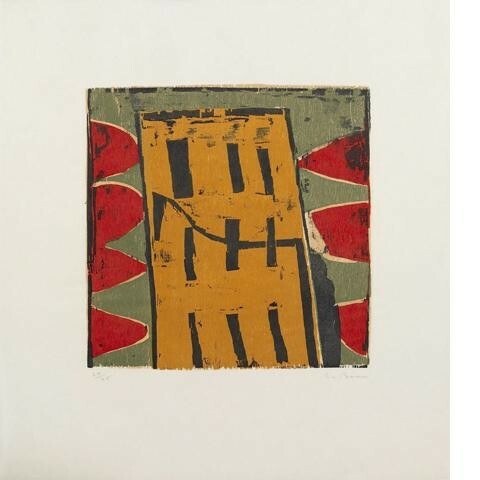 Yellow Tower is a vigorously contemporary, almost abstract composition arising from experiments with plywood panels cut with a simple chisel and hammer. It is printed from four separate blocks. Printed by Hugh Stoneman at Stoneman Graphics in Cornwall, UK. 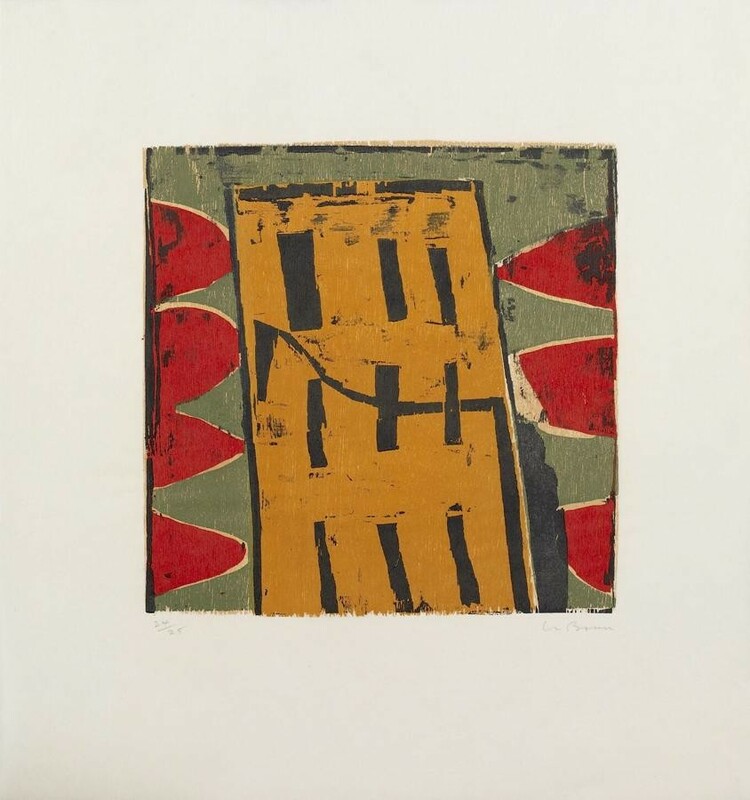 A single colour woodcut, printed on Kozu-shi 23gsm light Japanese paper. Published in 1998.